I am Groot! 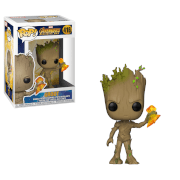 This Guardians of the Galaxy Groot Pocket Pop! 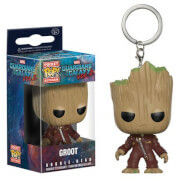 Vinyl Figure Key Chain is a miniaturized version of Funko's Groot Pop! 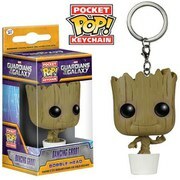 vinyl figure with a key chain attached, so you can take him with you anywhere! Key chain measures approximately 1 1/2-inches tall so he's just the right size for your keys or backpack. Ages 14 and up.